The important value of Artglass™ brand is to progress together with you. 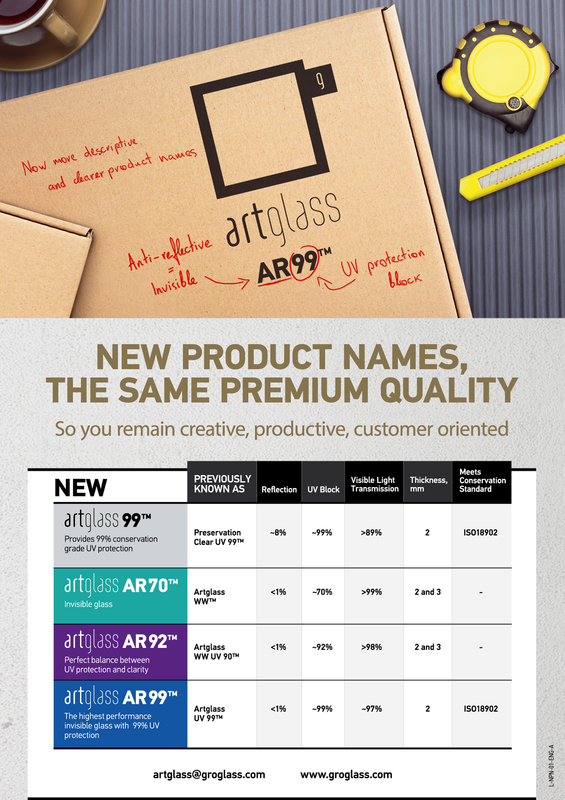 Therefore, we are changing Artglass™ product names by making them simple and clear so, you can serve customers easier and quicker. Artglass™ products remain the same – premium quality. The changes will be implemented in all the marketing materials starting with brochures, leaflets, stickers and continued with our website, boxes and other products` related materials. Please be aware that there might be situations, when the new and previously known product names meet, but we will do our best to make fast and successful transition. 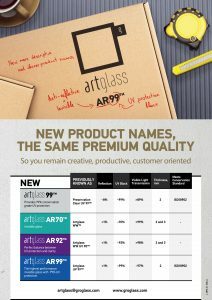 Please find detailed information about the new product names in the visual material and if you have any questions, feel free to get in touch with us at artglass@groglass.com.